Li L-L, Yu P, Wang X, Yu S-S, Mathieu J, Yu H-Q, Alvarez PJJ. 2017. Enhanced biofilm penetration for microbial control by polyvalent phages conjugated with magnetic colloidal nanoparticle clusters (CNCs). Environ Sci Nano 4:1817–1826. What’s new: Now, scientists publishing in Environmental Science: Nano have developed a new approach to biofilm treatment: using bacteriophages with magnetic nanoparticle clusters! I enjoyed listening to this weeks episode. So, just to recap to make sure that I am understanding correctly. 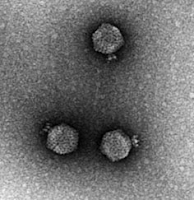 When phages are modified with the clusters and coated with the magnetic nanoparticles it is possible to direct the phages to target certain areas? How could this hypothetically work in the human body? Would the phages be introduced through a capsule so that it wouldn't dissolve in the stomach acids and would pass on to the intestine? Or would it be delivered through an injection? Also, would it be possible to direct the modified phages by the use of imaging technology such as a concentrated MRI scan? You have understood correctly, and also brought up some good questions and challenges that would need to be answered to make this into an effective treatment! Pill and injection could both possibly work as routes of administering the phage, and it might depend on what is being treated and where in the body. 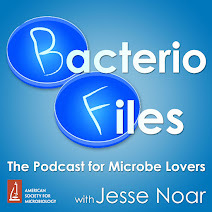 Or a pill might be sufficient for everything--to preview an upcoming episode, it's possible that bacteriophages might be able to move fairly freely through the body! How likely do you think it will be that we will see phages being used to cure bigger disease, such as cancer, in the future? So that's pretty exciting stuff. If the goal isn't infecting so much as, perhaps, delivering anticancer therapies directly to cancer cells in the body, phages might have more effect as a kind of nanomachine, but I don't really know if they would have any advantages over other types of nanoparticle for this purpose. Lastly, cancer may be a bigger thing now, but if we're not more careful about antibiotic use, infection with drug-resistant bacteria could become a very big deal itself, like bacterial infection used to be in the time before antibiotics! So developing phages as another, more targeted and versatile way to treat infections is a very important thing to study now in itself. What type of targeting mechanisms do you think will be most impacted by these findings? Not sure what you mean by targeting mechanisms, but overall I think this approach could have the most effect in treating very localized infections in the body, especially those involving biofilms like in the lungs of patients with cystic fibrosis. It could also be useful in industrial settings to prevent bacteria from building up gunk in pipes and such and causing problems or contamination.